All right, so I was going to try to recap the whole marathon in one post, but when I was already at over 1,000 words and hadn’t even got to the point where I was in Grant Park yet, I figured I should probably break this up into parts if I expected anyone to read it. Let’s start with the expo! I spent nine hours there on Friday. That’s a lot of hours. Six of those hours were working, two of those hours were me browsing like every darn booth/spending all of my birthday money and then some on overpriced souvenirs/taking pictures with freaking everything, one of those hours was me (of course) having the best CTA day of my life and getting to the expo an hour before I needed to because the ONE TIME I allow myself more than enough time to get to my destination was of course the ONE TIME I don’t have to wait for the CTA. Life. Arriving early, however, allowed me to check out the #ownchicago…sculpture? Larger than life hashtag? 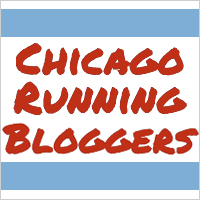 Whatever you want to call it…that Nike had out, where they may or may not have printed the names of the 2012 Chicago Marathon runners, not the names of the 2013 Chicago Marathon runners. when I left on Friday. This also led to Nike being very nice to me on Twitter, which I appreciated. I showed them my appreciation by throwing my credit card at them later in the day to buy their sinfully overpriced official marathon swag. This was my third straight Chicago Marathon expo and I’ve been waiting two years to justify buying myself the official gear, so needless to say there was no love lost between the two of us. ALSO this #ownchicago appeared on the marathon course at mile 2? and had signatures all over it, which must have been their Saturday solution to their itty bitty (major) error. This was one of very few things that made me smile at mile 2?. But we’ll get to that later. I also hope I didn’t accidentally make someone at Nike lose their job. If so, I AM SO SORRY. I really just wanted to let my friends know there was no point in looking for their names if they didn’t run the race last year, because their names wouldn’t be on there. Please don’t hate me! Anyway. I bought a lot of crap at the expo. And by crap I mean swaaaag. They were also handing out these awesome “Chicago Runs For Boston” bracelets at t-shirt pickup. As soon as the bombings happened at Boston earlier this year, I knew I wanted to some way make my Chicago Marathon about or for Boston, and this seemed like the perfect way to do so. After the expo I came home, watched Spirit of the Marathon for the first time (LOVED IT. Also, I think I cried more during the scene that features everyone finishing than I’ve ever cried in any movie, ever, in the history of my life. Like a freaking baby. ), and tried to get a good night of sleep (I failed. But at least I tried!). This makes me want to run Chicago next year SO FREAKING BADLY! I love working at expos although it is so tempting to not buy everything. In your case I’d say it was well deserved. Also I literally just cracked up about you being afraid that you cost someone at nike their job. I wouldn’t worry too much though 😉 can’t wait to hear the race recap! lol that’s too funny about the hashtag sculpture thing. whoever did that had a pretty bad day I guess. I can’t wait to read more about the race though! I’m guess (hoping? assuming?) you did well! The weather gods were smiling down on you for sure! Haha I’d say so! I can’t imagine what went down at Nike when they realized what happened. AHhhhh I can’t wait to read your race recap!!!!! hashtags everywhere, so crazy. I have to say though, I love love love expos because you can try all the delicious new fuels that are out aka just the tasty gummy kind that are like candy. Hahaha right? So many hashtags. I actually didn’t eat anything at the expo this year! I didn’t want to take any chances with my nervous stomach so close to the race. Such a bummer. That is too funny about their solution to the messed up list of names. Oops! I honestly didn’t even see it when I was there on Saturday but maybe they’d already hauled it off by the time I did my circuit of the expo (around 5:30PM). Oops is right! Though it did make for quite an amusing story, at least for me…haha. Looks like you picked up some great swag too – I don’t own a car either, but I put the 26.2 magnet on my fridge and then there is a sticker on my fridge, wish I would have gotten a Christmas ornament too. Looking forward to reading about your race experience! I LOVE the expo! This is the third year in a row I’ve been to the marathon expo, and each time I’m just beside myself with giddiness. It’s like a runner’s Disney World. You got way more good stuff at the expo than I did! But I did wear my blue bracelet during the race. Hope your race went well! Oh no! I totally agree! That was me two years ago! Your first marathon is the most amazing! I hope you enjoyed! And I can’t believe they printed the wrong names. Eek!